Bishop Noll Institute is proud to announce that senior Michael Quintero was named a Lilly Scholar. 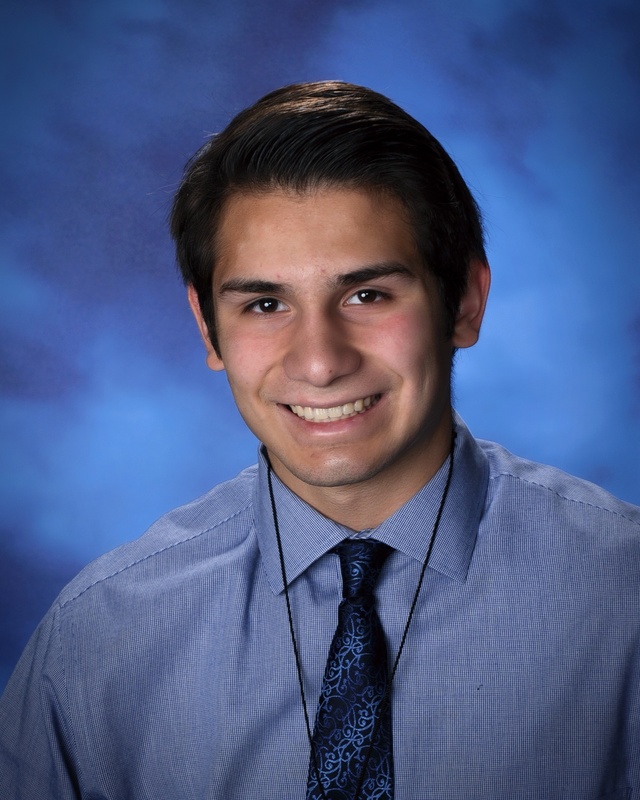 Making his childhood dreams come true, Bishop Noll senior Michael Quintero has been awarded the Lilly Endowment Community Scholarship, which covers four years of undergraduate tuition, plus a yearly book stipend, for any public or private Indiana college or university. Michael was one of only six Lake County students and 143 Indiana students total to receive the scholarship. In Lake County, the scholarship is given by the Legacy Foundation. "Receiving this scholarship is the biggest honor and it is the biggest accomplishment of my life," he said. "It is a huge honor to represent Bishop Noll and Lake County with this scholarship. Nothing but glory to God for this opportunity. I have known about this scholarship since I was little and I always thought how cool it would be to win. Now I actually get to live out this childhood dream. It is a huge humbling accomplishment that makes me happy to know that I have made an impact in school and in my community." Michael is Bishop Noll's 12th Lilly Scholarship winner since the statewide program began in 1998. After being notified he won, Michael said he was in shock and called his mom, who joined in his disbelief and excitement. "I felt so thankful and honored to have this opportunity for me in college. I knew it was a dream come true. Not only is it a big deal to me, but it is a big deal to the rest of my family. When my family found out I was representing Noll, they had nothing but confidence in me. It feels amazing to know how proud my family is of me. Most importantly, two days before my interview at the Legacy Foundation, my grandpa died on that Monday morning. It was very hard on my family and I, but to bring this happiness into the family because I won is truly amazing." Michael is captain of the basketball and cross country teams at Bishop Noll. He is a Eucharist minister at St. John the Baptist and volunteers throughout his community, including at Phyre Ministry and Pierogi Fest. Michael, of Hessville, attended St. Catherine of Siena and St. John Bosco schools before joining the Bishop Noll family. That family atmosphere is what makes his high school special, he said. "After finding out that I was the candidate from Noll and I was going to have to go against 24 other candidates, I began to feel doubtful. On top of that, with my grandpa passing, I felt like I had no chance of winning. 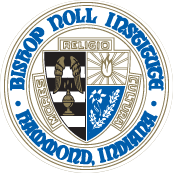 But everyone at Bishop Noll - the faculty, administration, the office, teachers, and students - all had faith in me. They would always tell me good luck and that I was going to win. Little did they know how much of a confidence boost this was for me because I was not too confident in myself because of the recent death. Thanks to the family atmosphere and support here at BNI, I was able to accomplish this and win." He said all his teachers helped him on the journey and gave special shouts out to Admissions Director Mrs. Nancy Repay and Campus Minister Ms. Stacia Bolakowski for writing the recommendation letters for him. English teacher Ms. Rose Mullaney, a Lilly Scholar herself, kept him focused and helped him throughout the process. She made him believe he could achieve this dream, he said. "If it was not for her help and support, I would not have been able to do this," Michael said. Michael plans to attend Purdue University in West Lafayette and study mechanical engineering. "My goal is to use this opportunity to achieve and do more. I look forward to using this scholarship in college and getting involved in the Lilly Scholarship Network, where I will be able to stay involved with other college Lilly recipients from all across Indiana. I look forward to continuing to help the community and my school and county proud with my accomplishments."